Summary What's in this book? About the authors Why should you listen to us? 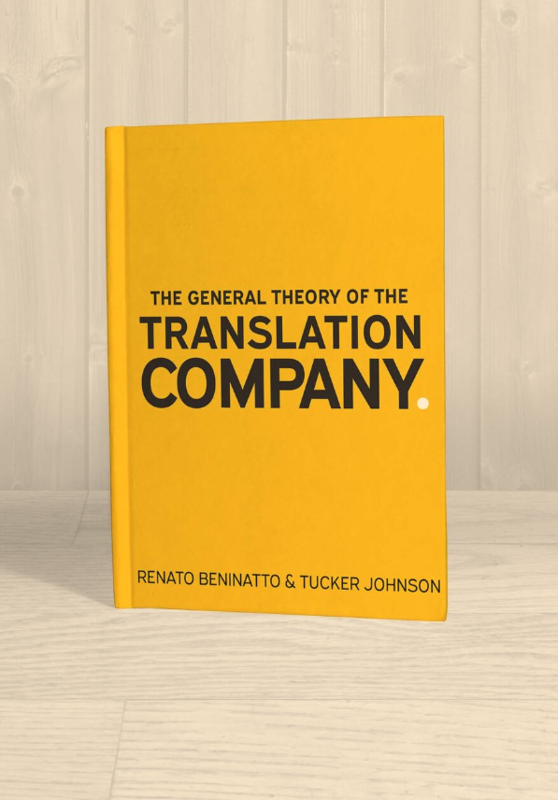 Localization visionary and professional contrarian, Renato has done it all – freelance translation, vendor management, sales and marketing, CEO, and everything in between. He has a passion for passing on his extensive industry knowledge to others and helping companies grow, which is what this book is all about. Renato met Tucker while working at the same company and they have had an adventurous working relationship ever since, even though he thinks Tucker takes himself too seriously. Tucker started out as a (bad) translator and fell in love with the language services industry. He hasn’t looked back. Over the years, he has worn many hats on the production side, performing or overseeing all different functions in the language services value chain. Being self-taught (as most of us are), Tucker loves to work with others to pass on his experience, and hopes this book can help others starting out so they don’t have to learn things the hard way like he did. While he has great respect for Renato’s years of experience, knowledge, and insight, Tucker does sometimes wish that he would take things a little bit more seriously. Or are you curious for more?